Hallo meine Lieben. Heute zeige ich euch eine Geburtstagskarte,die ich für meinen Kartenvorrat gemacht habe.Ich hoffe sie gefällt euch ein wenig. 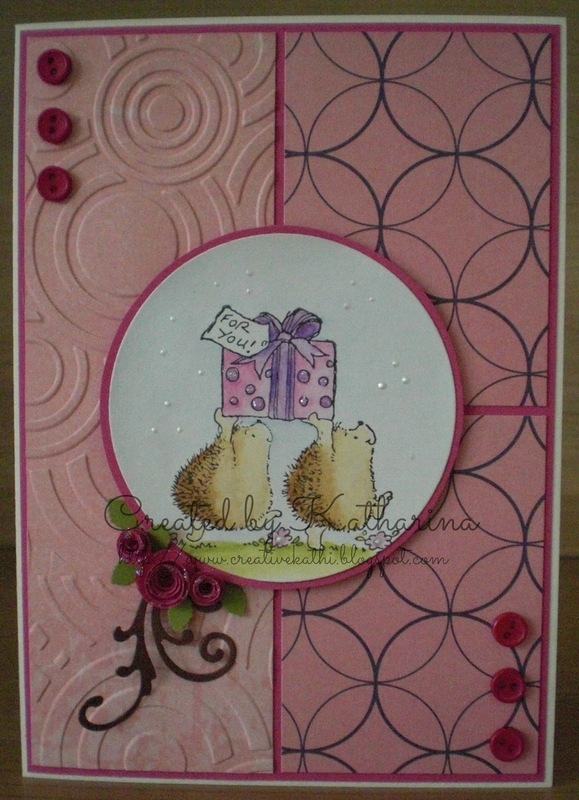 Love the cute hedgehog image and pretty pink design. Thanks for joining us at 613 Avenue Create this week. 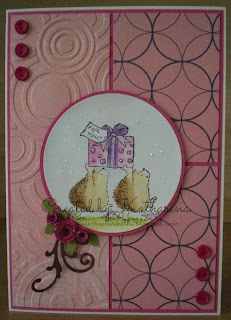 Fabulous card, the hedgehogs are darling and the papers are so pretty. Thank you for joining us for Tuesday Morning Sketches. Super sweet card--love it! So glad you joined us at PBSC! I love your cute image and embossing!! Sweet card! Really cute card with a great design. The embossing adds great texture and interest.